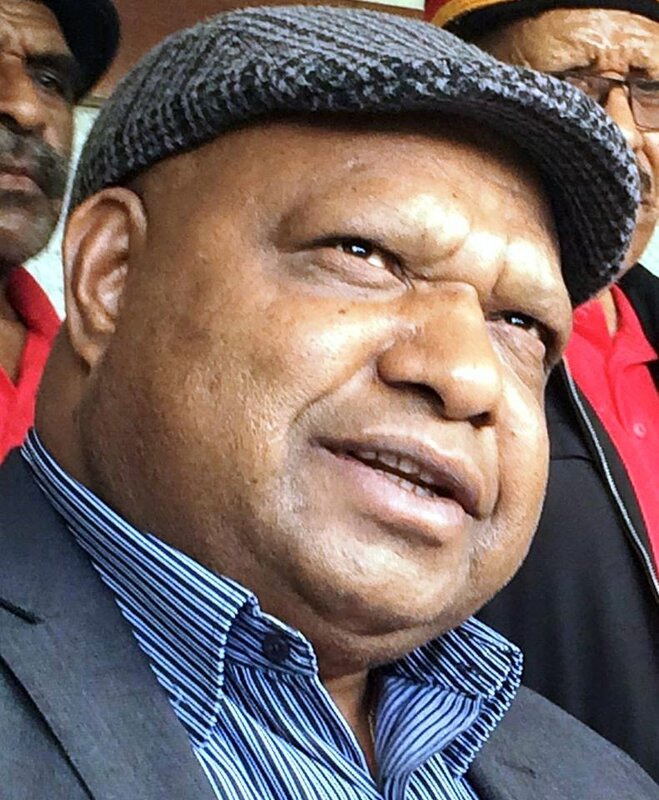 Electoral Commissioner Patilias Gamato last night accepted the writ for the Southern Highlands Provincial seat at the PNG Electoral Commission headquarters in Port Moresby. In accepting the writ from the SHP Provincial Returning Officer Steven Gore Kaupa, Commissioner Gamato also accepted and recognized incumbent Governor William Titpe Powi as duly elected MP-elect for Southern Highlands Provincial. Upon legal advice, the Electoral Commissioner applied section 175 of the Organic Law on National Elections under “special circumstances” to use the primary count results to confirm the declaration made by the former Provincial Returning Officer Jacob Kurap on Friday, 20 July 2017 at 4:04pm at the Momei Oval in Mendi. Tally calculations from counts 1 – 462 showed and justified that William Titpe Powi exceeded the required absolute majority with 91,745 primary votes to reclaim the SHP Provincial seat. Absolute majority was set at 86,761 plus one. Joseph Kobol came in second with 60,131 primary votes while Jerry Kiwai was third with 40,411 primary votes. Commissioner Gamato had rejected results of counts 463-564 conducted by Francis Akol on grounds that the electoral process was hijacked and the 102 ballot boxes Akol counted were tampered with and the figures and people’s choices were altered. He ordered that a total of 65,058 votes be removed from the tallies of candidates. The 84 remaining ballot boxes which were not counted and locked up at the Mendi police station approximately contain 130,135 ballot papers are now considered as informal ballots. Total eligible voters for the Southern Highlands, as per the number of ballot papers issued for 650 ballot boxes for the province, is 436,907. Meanwhile, Mr. Gamato has expressed grave concern that the long delay in completing the counting process for Southern Highlands Provincial seat has resulted in the province not having a legitimate head of the Provincial Government or Governor. “As Electoral Commission, we have the responsibility to put in place a legitimate government for SHP through the electoral process,” Gamato said. He pointed out that since the appointment of Steven Gore Kaupa as the PRO for Southern Highlands in August and transfer of funds to retrieve, scrutinize and count the 84 ballot boxes locked up in Mendi, there has been further delays. Commissioner Gamato confirmed that there are new information and photographs coming out showing strong resistance by supporters of some provincial candidates not to retrieve the 84 boxes.